The sociological imagination is the ability to situate personal troubles within an informed framework of larger social processes. Because they tried to understand the larger processes that were affecting their own personal experience of the world, it might be said that the founders of sociology, like Marx, Weber, and Durkheim, exercised what C. Wright Mills later called the sociological imagination. C. Wright Mills, a prominent mid-20th century American sociologist, described the sociological imagination as the ability to situate personal troubles and life trajectories within an informed framework of larger social processes. Other scholars after Mills have employed the phrase more generally, as the type of insight offered by sociology and its relevance in daily life. Another way of describing sociological imagination is the understanding that social outcomes are shaped by social context, actors, and social actions. the sociological imagination: Coined by C. Wright Mills, the sociological imagination is the ability to situate personal troubles and life trajectories within an informed framework of larger social processes. Early sociological theorists, like Marx, Weber, and Durkheim, were concerned with the phenomena they believed to be driving social change in their time. Naturally, in pursuing answers to these large questions, they received intellectual stimulation. These founders of sociology were some of the earliest individuals to employ what C. Wright Mills (a prominent mid-20th century American sociologist) would later call the sociological imagination: the ability to situate personal troubles and life trajectories within an informed framework of larger social processes. The term sociological imagination describes the type of insight offered by the discipline of sociology. While scholars have quarreled over interpretations of the phrase, it is also sometimes used to emphasize sociology’s relevance in daily life. 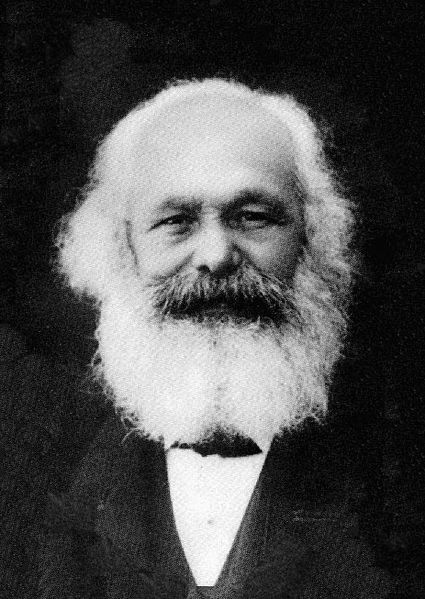 Karl Marx: Karl Marx, another one of the founders of sociology, used his sociological imagination to understand and critique industrial society. As Mills saw it, the sociological imagination helped individuals cope with the social world by enabling them to step outside their own, personal, self-centered view of the world. By employing the sociological imagination, individual people are forced to perceive, from an objective position, events and social structures that influence behavior, attitudes, and culture. In the decades after Mills, other scholars have employed the term to describe the sociological approach in a more general way. Another way of defining the sociological imagination is the understanding that social outcomes are shaped by social context, actors, and actions. Early sociological studies were thought to be similar to the natural sciences due to their use of empiricism and the scientific method. Early sociological approaches were primarily positivist—they treated sensory data as the sole source of authentic knowledge, and they tried to predict human behavior. Max Weber and Wilhelm Dilthey introduced the idea of verstehen, which is an attempt to understand and interpret meanings behind social behavior. The difference between positivism and verstehen has often been understood as the difference between quantitative and qualitative sociology. Quantitative sociology seeks to answer a question using numerical analysis of patterns, while qualitative sociology seeks to arrive at deeper a understanding based on how people talk about and interpret their actions. Verstehen: A systematic interpretive process of understanding the meaning of action from the actor’s point of view; in the context of German philosophy and social sciences in general, the special sense of “interpretive or participatory examination” of social phenomena. Early sociological studies considered the field of sociology to be similar to the natural sciences, like physics or biology. As a result, many researchers argued that the methodology used in the natural sciences was perfectly suited for use in the social sciences. The effect of employing the scientific method and stressing empiricism was the distinction of sociology from theology, philosophy, and metaphysics. This also resulted in sociology being recognized as an empirical science. This early sociological approach, supported by August Comte, led to positivism, an idea that data derived from sensory experience and that logical and mathematical treatments of such data are together the exclusive source of all authentic knowledge. The goal of positivism, like the natural sciences, is prediction. But in the case of sociology, positivism’s goal is prediction of human behavior, which is a complicated proposition. The goal of predicting human behavior was quickly realized to be a bit lofty. Scientists like Wilhelm Dilthey and Heinrich Rickert argued that the natural world differs from the social world; human society has culture, unlike the societies of most other animals. The behavior of ants and wolves, for example, is primarily based on genetic instructions and is not passed from generation to generation through socialization. As a result, an additional goal was proposed for sociology. 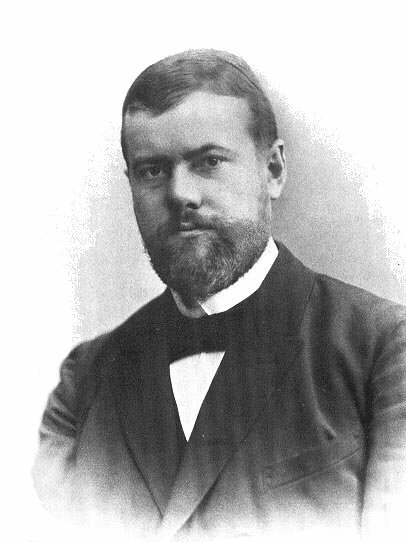 Max Weber and Wilhelm Dilthey introduced the concept of verstehen. The goal of verstehen is less to predict behavior than it is to understand behavior. Weber said that he was after meaningful social action, not simply statistical or mathematical knowledge about society. Arriving at a verstehen-like understanding of society thus involves not only quantitative approaches, but more interpretive, qualitative approaches. The inability of sociology and other social sciences to perfectly predict the behavior of humans or to fully comprehend a different culture has led to the social sciences being labeled “soft sciences. ” While some might consider this label derogatory, in a sense it can be seen as an admission of the remarkable complexity of humans as social animals. Any animal as complex as humans is bound to be difficult to fully comprehend. Humans, human society, and human culture are all constantly changing, which means the social sciences will constantly be works in progress. The contrast between positivist sociology and the verstehen approach has been reformulated in modern sociology as a distinction between quantitative and qualitative methodological approaches, respectively. Quantitative sociology is generally a numerical approach to understanding human behavior. Surveys with large numbers of participants are aggregated into data sets and analyzed using statistics, allowing researchers to discern patterns in human behavior. Qualitative sociology generally opts for depth over breadth. The qualitative approach uses in-depth interviews, focus groups, or the analysis of content sources (books, magazines, journals, TV shows, etc.) as data sources. These sources are then analyzed systematically to discern patterns and to arrive at a better understanding of human behavior. Drawing a hard and fast distinction between quantitative and qualitative sociology is a bit misleading, however. Both share a similar approach in that the first step in all sciences is the development of a theory and the generation of testable hypotheses. While there are some individuals who begin analyzing data without a theoretical orientation to guide their analysis, most begin with a theoretical idea or question and gather data to test that theory. The second step is the collection of data, and this is really where the two approaches differ. Quantitative sociology focuses on numerical representations of the research subjects, while qualitative sociology focuses on the ideas found within the discourse and rhetoric of the research subjects. As a social science, sociology explores the application of scientific methods to the study of the human aspects of the world. In the 17th century, scholars began to define the natural world as a reality separate from human or spiritual reality. As such, they thought the natural world should be studied using scientific and empirical methods. The pressure to discover mathematical relationships between objects of study carried into the study of human behavior, thus distinguishing social sciences from the humanities. By the 19th century, scholars began studying human behavior from a scientific perspective in an attempt to discover law-like properties of human interaction. In the attempt to study human behavior using scientific and empirical principles, sociologists always encounter dilemmas, as humans do not always operate predictably according to natural laws. Even as Durkheim and Marx formulated law-like models of the transition from pre-industrial to industrial societies, Weber was interested in the seemingly “irrational” ideas and values, which, in his view, also contributed to the transition. humanities: The humanities are academic disciplines that study the human condition, using methods that are primarily analytical, critical, or speculative, as distinguished from the mainly empirical approaches of the natural sciences. science: A particular discipline or branch of learning, especially one dealing with measurable or systematic principles rather than intuition or natural ability. social science: A branch of science that studies society and the human behavior in it, including anthropology, communication studies, criminology, economics, geography, history, political science, psychology, social studies, and sociology. As a social science, sociology involves the application of scientific methods to the study of the human aspects of the world. The social science disciplines also include psychology, political science, and economics, among other fields. As a generalization, psychology is the study of the human mind and micro-level (or individual) behavior; sociology examines human society; psychology focuses on mental and thought processes (internal), whereas sociology focuses on human behavior (external). Political science studies the governing of groups and countries; and economics concerns itself with the production and allocation of wealth in society. The use of scientific methods differentiates the social sciences from the humanities. In ancient philosophy, there was no difference between science and humanities. Only with the development of mathematical proof did there gradually arise a perceived difference between scientific disciplines and the humanities or liberal arts. Thus, Aristotle studied planetary motion and poetry with the same methods; Plato mixed geometrical proofs with his demonstration on the state of intrinsic knowledge. During the 17th century, a revolution took place in what constituted science, particularly with the work of Isaac Newton in physics. Newton made a sharp distinction between the natural world, which he asserted was an independent reality that operated by its own laws, and the human or spiritual world. Newton’s ideas differed from other philosophers of the same period (such as Blaise Pascal, Gottfried Leibniz, and Johannes Kepler) for whom mathematical expressions of philosophical ideals were taken to be symbolic of natural human relationships as well; the same laws moved physical and spiritual reality. Newton, along with others, changed the basic framework by which individuals understood what was scientific. 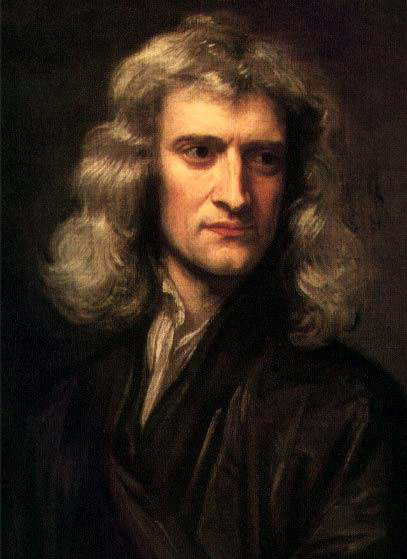 Isaac Newton, 1689: Isaac Newton was a key figure in the process which split the natural sciences from the humanities. Natural laws: Kepler’s law, which describes planet orbit, is an example of the sort of laws Newton believed science should seek. But social life is rarely predictable enough to be described by such laws. In the realm of other disciplines, this reformulation of the scientific method created a pressure to express ideas in the form of mathematical relationships, that is, unchanging and abstract laws. In the late 19th century, attempts to discover laws regarding human behavior became increasingly common. The rise of statistics and probability theory in the 20th century also contributed to the attempt to mathematically model human behavior in the social sciences. In the attempt to study human behavior using scientific and empirical principles, sociologists always encounter dilemmas, as humans do not always operate predictably according to natural laws. Hence, even as Durkheim and Marx formulated law-like models of the transition from pre-industrial to industrial societies, Weber was interested in the seemingly “irrational” ideas and values, which, in his view, also contributed to the transition. The social sciences occupy a middle position between the “hard” natural sciences and the interpretive bent of the humanities. The sociological approach goes beyond everyday common sense by using systematic methods of empirical observation and theorization. Sociology is more rigorous than common sense because sociologists test and modify their understanding of how the world works through scientific analysis. Sociologists gather data on the ground and formulate theories about what they find. These theories are then tested by using the scientific method to assess the theory’s validity. Sociology, unlike common sense, utilizes methods of induction and deduction. deduction: The process of reasoning in which a conclusion follows necessarily from the stated premises; inference by reasoning from the general to the specific. The sociological approach goes beyond everyday common sense. Many people believe they understand the world and the events taking place within it, often justifying their understandings by calling it “common sense. ” However, they have not actually engaged in a systematic attempt to understand the social world. Sociology, is an attempt to understand the social world by situating social events in their corresponding environment (i.e., social structure, culture, history) and trying to understand social phenomena by collecting and analyzing empirical data. This scientific approach is what differentiates sociological knowledge from common sense. Thus, to obtain sociological knowledge, sociologists must study their world methodically and systematically. They do this through induction and deduction. With induction, sociologists gather data on the ground and formulate theories about what they find. These theories are then tested by using the scientific method in order to assess the theory’s validity. In order to test a theory’s validity, they utilize deduction. Deduction is the act of evaluating their theories in light of new data. Thus, sociological knowledge is produced through a constant back and forth between empirical observation and theorization. In this way, sociology is more rigorous than common sense, because sociologists test and modify their understanding of how the world works through scientific analysis. 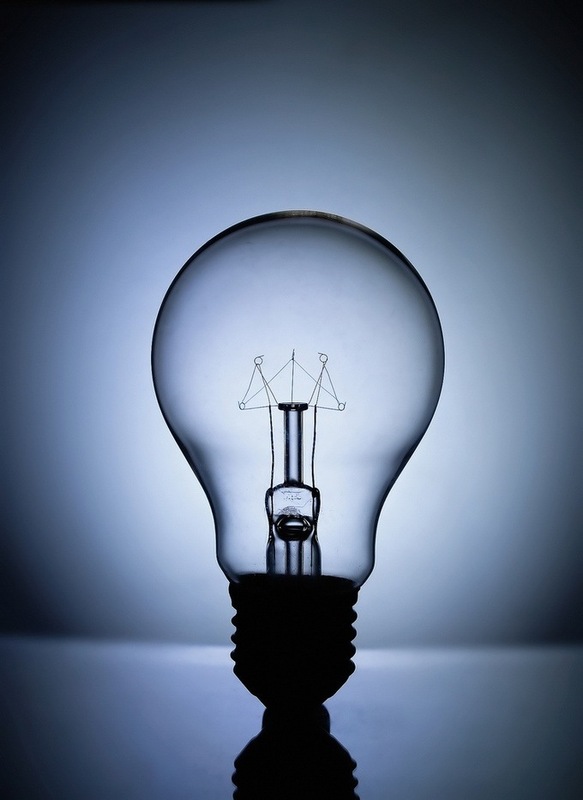 Light Bulb: Obtaining sociological knowledge is not just a process of a light-bulb going off in someone’s head; it requires thorough empirical research and analysis.